Palomino, 콜롬비아의 호스탈 안토소하 | 호스텔월드에서 예약하세요. 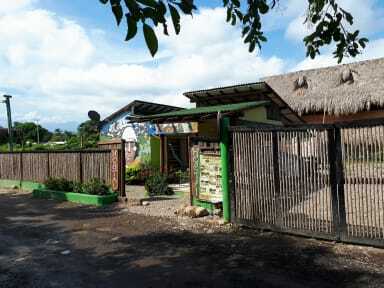 Hostal Antosoja is a friendly accommodations in Palomino, has the best atmosphere, a lots of energy to spend around the area or relax too our Hostal is comfortable and offers private room, hammock area, shared kitchen equipped with all the necessary utensils, shared bathrooms and private parking. Palomino is a small town on the Caribbean coast of Colombia located in the Guajira region the area is surround an wonderful beaches and offers the perfect combination of river, forest and sea. 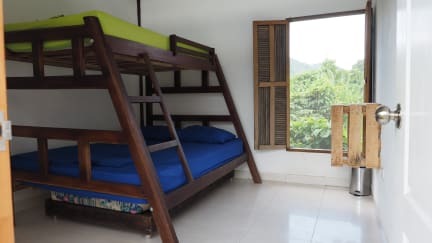 Our B&B has 4 rooms, two of them with single bunk beds and the other two double bunk bed downstairs and simple upstairs and auxiliary, all have fan.